Become the savior of Legrand. 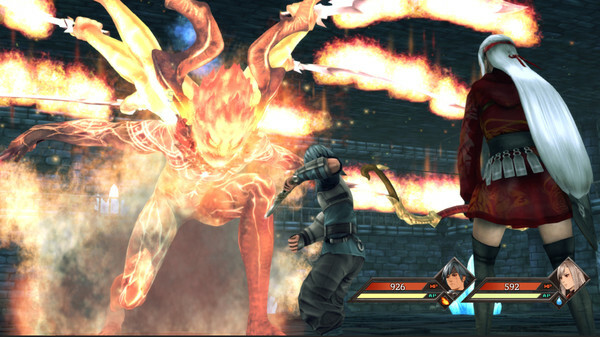 Legrand Legacy: Tale of the Fatebounds, described by publisher Another Indie and developer Semisoft as a “nostalgic love letter to classic JRPGs,” will launch for PC via Steam on January 24, 2018, followed by PlayStation 4, Xbox One, and Switch in Q1 2019. It will cost $24.99 and feature English, Japanese, Mandarin Chinese, Korean, and Russian language support. n the war-torn land of Legrand, a slave named Finn will rise from humble roots to possibly becoming a savior. After Finn exhibits powers beyond his control in the gladiator arena, an old man buys his freedom. Together they journey to save the man’s daughter, which leads them to a prophecy and a greater quest: to save Legrand from the second coming of a conflict that nearly destroyed the world in times long past.